You must be feeling pinch and cumbersome to carry a Smartphone along with charger, wallet, and cards holder during any outdoor travel. To get rid of all these things, there is an innovative solution that has a unique all-in-one feature without compromising your lifestyle. 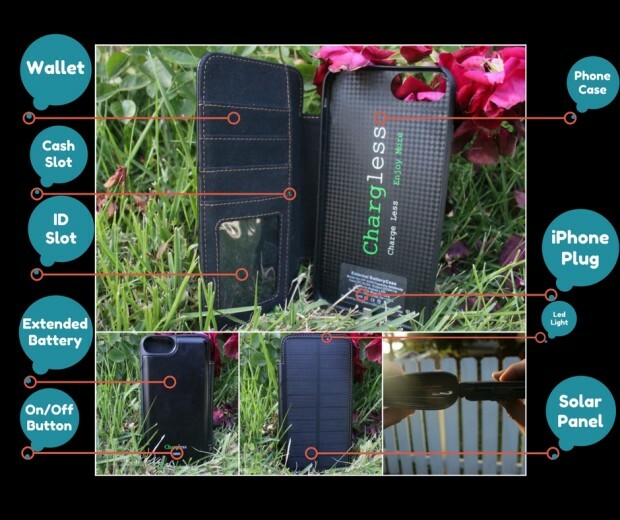 Meet this world’s first solar powered phone case ‘CHARGLESS’ invented by Donald Guraj, featuring a built in wallet with RFID protection and extended battery! A Smartphone case which powered with Sun energy and has a wallet? Sounds absurd. 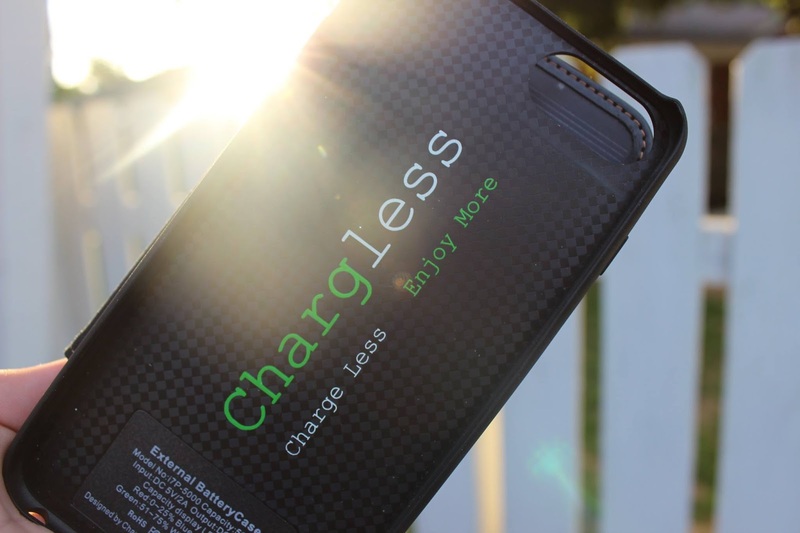 If you want to carry a solar power source without having to lug another extra device, however, the CHARGLESS phone case just might do the things for you! Now, no worry about low battery notifications and you don’t have to charge your phone anymore, isn’t it interesting? It eliminates the hassle of power cords and any search of a charging outlet. The CHARGLESS, made from a polycarbonate case protects Smartphone from any falls and has a sleek designed wallet made from the finest of French suede. Credit card numbers are sacred these days. We’d never give them out to a stranger because credit card fraud and stolen identities are never more than one mistake away. But what if I told you that somebody could steal your credit card information simply by standing next to you? This is really a serious issue and needs to be addressed on priority. With In-built RFID blocker, the CHARGLESS protects your personal information from any potential hackers. The radio waves are relatively easy to interrupt and block, and that’s how an RFID-blocking wallet works. The built-in extended lithium-ion high-quality rechargeable battery located in the rear of the case which enables you to charge up to 2 times from 0-100 per cent, reports Indiegogo. The solar panel is located on the front of the case, which is made from thin-film solar cells allowing the phone to charge using any light source.